Oh. My. Goodness. Now, as a self-professed car geek, it’s a bit of a given that an auto show is going to be something I’m going to enjoy simply by definition. But, I walked in and there in front of me was a fantastic display of Chrysler Group vehicles. I could not get from one to the other fast enough. I started with Chrysler—the Chrysler 300 John Varvatos is absolutely stunning, and I got a chance to experience the new 2015 Chrysler 200 firsthand. It’s a truly beautiful addition to the Chrysler lineup. I’m anxious to do a test drive and try out the new rotary shifter, among other things. Next was Jeep® where you KNOW I had to try out the Cherokee. 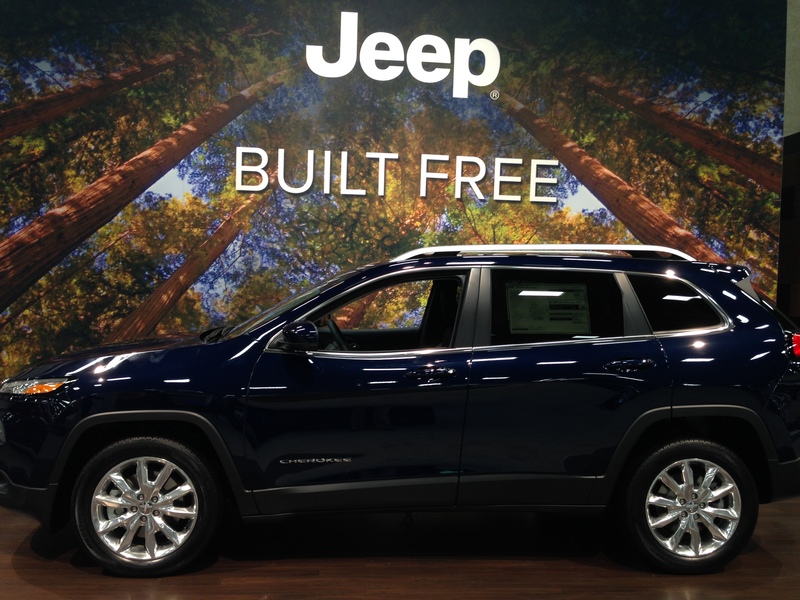 The featured display is actually pretty much my dream Cherokee—right down to the interior and exterior colors. (For the record, and to dispel any curiosity, it’s a gorgeous True Blue Pearl Coat exterior with a Morocco black interior…just beautiful.) I sat down behind the wheel and I was in heaven for just a few minutes. When I came back down to earth, I scurried over to SRT® and FIAT® to see what was going on up their way. There was the coolest purple Challenger SRT that just screamed “look at me.” In front of the Challenger SRT was a beautiful Viper that got everyone’s attention. And just to the left was the FIAT Abarth, just itching to sting you with its presence. I took a quick swing through Dodge, where of course I had to check out all my favorites. There are so many…it was really much more than a quick swing through, stopping to get pictures and admire each one. Then…there it was. What I had been waiting for since I first heard it was coming—the Ram Ride & Drive. (For the record, I was also very interested in the Ram Truck display, but more on that later.) I quickly walked through the Ram Trucks, wanting to see what the Ride & Drive was really all about. Let me tell you, it’s intimidating. But after watching a couple trucks go around and how masterfully the trucks handled the course with the professional drivers behind the wheel, I had to try it. And I am so glad I did. It. Was. Awesome. The driver’s take the trucks through a course that tests the truck’s stability, traction control, ground clearance and so much more. It was crazy because when you watched it from the outside it seemed like it would be really scary. But when you were in the truck, you felt perfectly safe and there were some parts of it you couldn’t even really tell the truck was maneuvering through anything difficult. 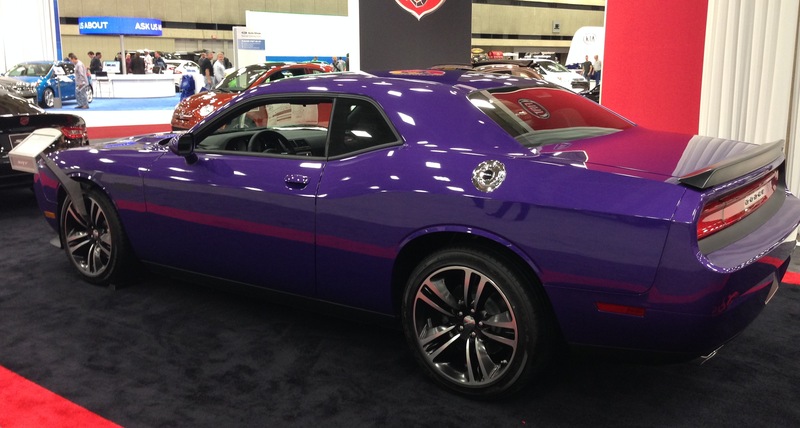 The Dallas Auto Show is going on now through Sunday, February 23. If you live in the area or are visiting this weekend, it’s a great place to spend a few hours. On the way out, while waiting for my train, I saw a gentlemen stop two strangers and ask if they were going to the auto show. When they said yes, he asked them to wait a moment. They looked puzzled, and I’m sure I did as well, as we watch the man pull out his wallet and start digging through it. A moment later, he pulled out two tickets and gave them to the two strangers, telling them to enjoy the show.